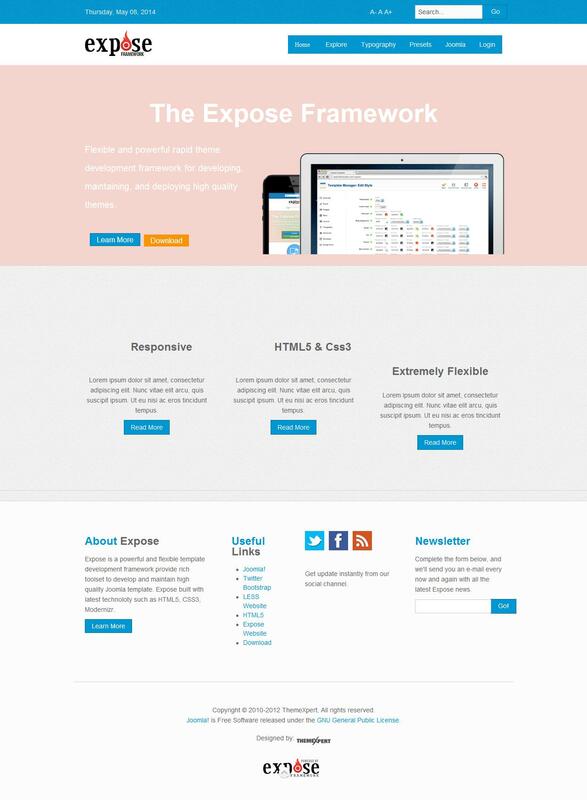 Base template is the solid theme based on Expose, our fast and slick theme framework! It takes full advantage of all the latest Expose features like semantic xHTML markup, a nice and clean administration UI, Xpert Mega Menu and much more. Base template is an optimized and streamlined theme and serves as blueprint to build your own custom themes. It offers 4 different theme styles to get you started right away. Every bits of codes are well documented and we've added Less files which make your customization more faster.